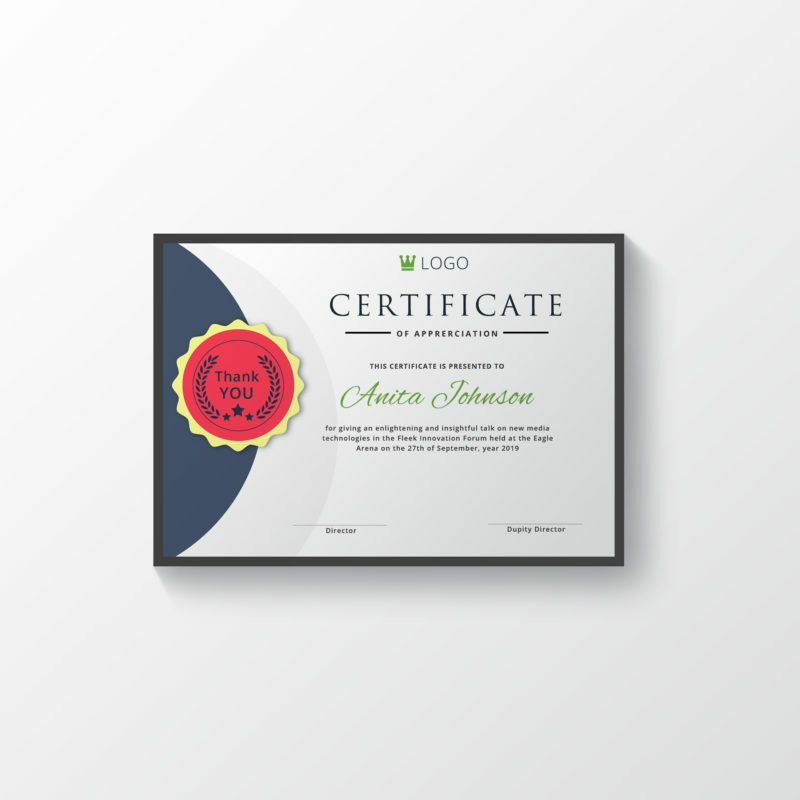 This modern and professional certificate template, with beautiful aesthetics is guaranteed to put smile on the face of the receiver. On the off chance that you are searching for a reasonable method for communicating that you are so thankful to a person formally, offering them a a certificate of appreciation will be exceptionally fitting. A Certificate of appreciation can be used in different ways, for instance expressing gratitude toward one for an administration they offered or for volunteering in a given action. By offering one a certificate, you are implying that you acknowledge what they have done and that you don’t underestimate the effort that they made.